Monty Pythons Flying Circus. Monty Pythons Flying Circus hit the television screens on the 5th of October 1969. 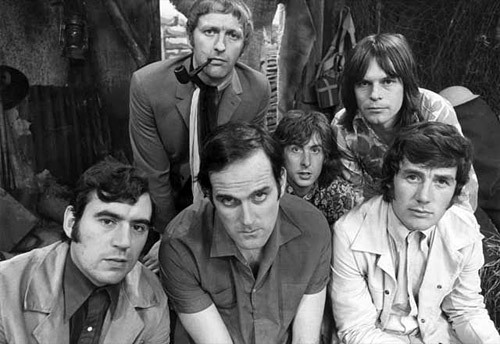 It featured new players on the block John Cleese, Graham Chapman, Michael Palin, Terry Jones, Eric Idle and Terry Gilliam. Now all house hold names it was Python that gave them their fame. The show lasted four series and gave us such legendary sketches as The Dead Parrot sketch, The Argument Sketch and the Cheese shop sketch. Join Meds and Kelly as they waffle on about this classic show and share trivia, facts and of course the sketches that will have you laughing until someone says "Stop that, it's too silly"